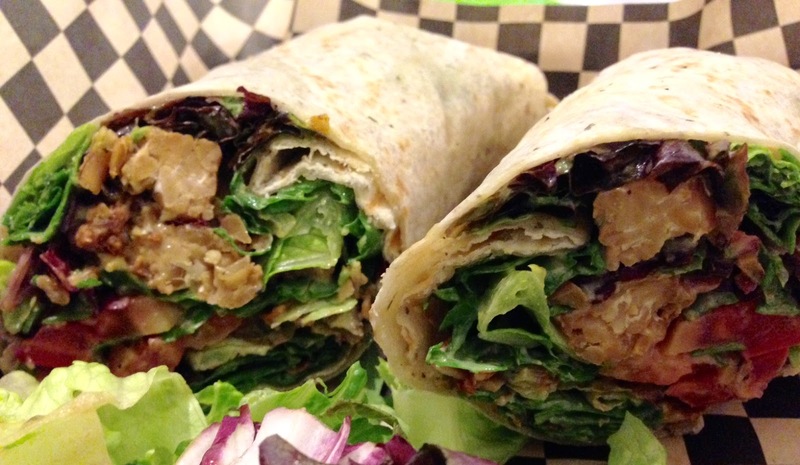 The menu at Leaf and Ladle varies, but they always have something vegan, be it soup, salad, wrap or sandwich. On their Facebook page they explain: "With an ever-changing menu, whether you're a meat-eater, vegan, gluten-free, or just plain hungry, we want to feed you!" They sort of won me over in advance with that all-inclusive welcoming statement, and I am happy there is another local place that caters to everyone, including vegans. I love Leaf and Ladle!! I had the vegan Thai tempeh wrap that was the vegan sandwich option last week and it was so good!! Yum that sounds good. I can't wait to go back to Leaf and Ladle and try more vegan options! Glad you were able to get there! <3 their food!